This article expands on some of the recent aspects of the art of Audrius V. Plioplys. Plioplys has pursued two careers — one as an artist (exhibiting since 1975) and another as a pediatric neurologist and brain researcher. In 1976, after completing medical school and an internship, Plioplys declined multiple offers of residency training positions at the University of Wisconsin Hospitals and at the Mayo Clinic in favor of pursuing art full-time. For the subsequent three years, Plioplys lived in Washington, D.C. and devoted himself to studying and creating art. In 1979, he began his residency at the Mayo Clinic, determined to continue his art while studying and practicing medicine which he did. Plioplys's art had been quite consciously removed from his medical interests until he exhibited at Galerija in Chicago, Illinois, in November 1987 when the two professions came together in a creative symbiosis. Plioplys exhibited and continues to pursue an exciting and unique line of art. The subject matter is thinking and the thinking process, addressing what takes place in the human mind. Clinically important cognitive issues are explored as an art medium by an expert in the field. This sort of an artistic exploration has never been done before. Plioplys's clinical work focuses on children with cognitive disorders at the Hospital for Children in Toronto, Canada. His research investigations explore the neurological development of the cerebral cortex, the center of thinking in the brain. 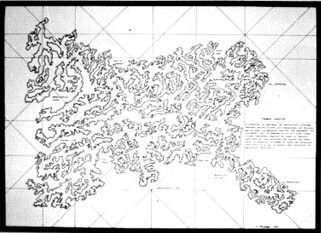 Plioplys incorporates into his art issues of cognition from both his clinical and research involvements. Plioplys's works on thinking consist of ink and acrylic paint on paper pieces. In his "Pro-Con Theory of Thought Development,"' the words "Pro" and "Con" are balanced on either side of the paper. Thinking moves back and forth repeatedly between disparate, dissimilar, conflicting perceptions. For every "Pro" there is a "Con" and for every "Con" there is a "Pro." Thought repels, though connects, thought fuses, and thought creates a new meaning. In "My Personal Method of Thinking — in Polychrome" the multicolored words "over and over" are written across the page from top to bottom. Learning evolves by means of repetition, by an echo reverberating (within oneself then without). In "Logical Thinking," the multicolored linear sequence "If ' equals B, and B equals C, and C ... " fills the page. Plioplys's art work continues with such titles as "Light Thought — Heavy Thought," "Red Thought," "Book Keeper's Thoughts" and "I Think therefore I Think therefore I Think." The subject of thinking is not new to Plioplys. It continues his artistic themes of many years. In 1980, he created an electroencephalogram (brain wave) series. His brain waves were recorded as he thought of such topics as "The Meaning of Art," "Creative Thoughts," "Michaelange-lo," "Mark Rothko's Black" and "Robert Morris's Mirrors." Plioplys's "Boxed Thoughts" piece is a clear plastic box containing the unravelled tape of an audiocasette on which he recorded his ideas on the meaning of art. 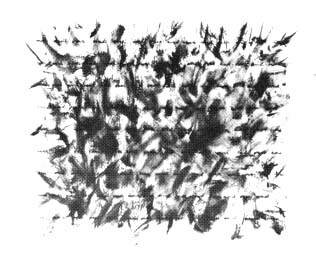 Plioplys's "Erased Word" series, such as the word "Constraints" drawn, then erased and framed, emphasizes his continual fascination with thought recorded and unrecorded. Thought is the seed of meaning. 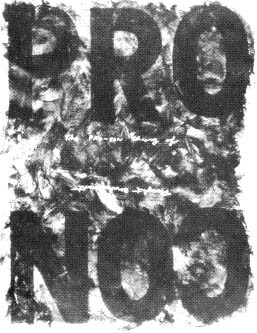 A one-man exhibit of Plioplys's art in 1978 at the Washington Project for the Arts in Washington, D.C. was entitled "Meaning." He dealt with questions of perception, reality and relationships, i.e., the ambiguity of meaning as a manifestation of changes in thought. His black box contained the word "Meaning" which blinked on and off at viewers. His "Book of Meaning" was a bound book of one word, "Meaning", repeatedly copied and re-copied on a photocopying machine rendering it illegible. Plioplys's photocopied book series, including "Book of Destiny" and "Book of Mythology," was shown at the Dolly Fiterman Art Gallery in Minneapolis, Minnesota in July, 1980 at a one-man exhibit of his art work. "Walkways and Courtyards of the City" is a series of line drawings where an uninterrupted controlled line closes in on itself creating and preserving an impenetrable "spaced-in" core. This continuous line borders yet never crosses the inner inaccessible walkway. It draws one's attention to one's present inner space with all its variations and possibilities, i.e. one's own thoughts. This series was shown at the Dolly Fiterman Gallery in March, 1980 and at the Tweed Museum of Art, University of Minnesota, Duluth, Minnesota in July 1980. Thinking can be "seen" as self-reflections in a mirror in one's mind. Plioplys's art is that mirror of one's mind as reality is a mirror of one's thoughts. Mirrors were Plioplys's medium for many years. In Plioplys's "Mirorred Book" series, black painted canvas serves as the cover for each of the books. 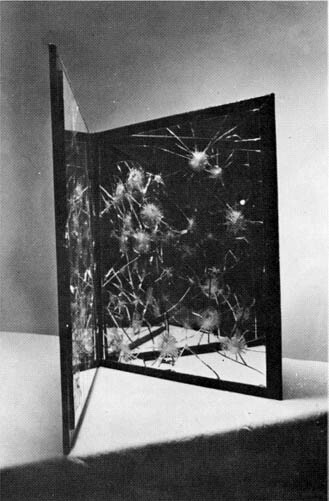 On the inside cover of the book are mirrors cut or broken in various ways ranging from "Book of Alternate Vertical Mirrors" — strips of alternating mirrors and black canvas form the inside of the book, "Book of Solitude" — the black canvas continues inside. To open a book and to see oneself reflected in fragments or to stare into black jolts one back into reading one's own thoughts. In 1978, Plioplys created a series of mirrored portraits of literary figures: Franz Kafka, Samuel Beckett and Fyodor Dostoyevsky. As one looks at these portraits one sees oneself in their faces. 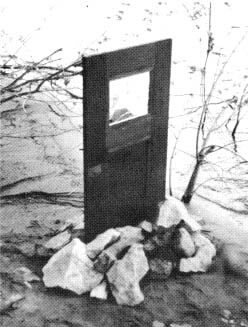 "Mirrorred Doorway" was exhibited at the Smithsonian Institution's National Collection of Fine Arts (now called the American Museum of Art) from 1977 through 1979. Two six-foot doors, covered on the inside with cut strips of mirrors, are hinged side-by-side on a black frame. They close in upon themselves and open fully to reveal the infinite and varying fragmented image of the viewer. Plioplys explores assumptions, unconscious thoughts — the raw rumblings before the mind extends itself to images and words. Plioplys gives no answers. Plioplys sees the reality as the direct extension of thought. Thoughts not only filter but determine the way one perceives the world personally, socially, globally and historically. Whether recording his own brain waves, erasing or photocopying words, constructing mirrored books or doors, or meticulously drawing words and word sequences on paper, Plioplys creates visual metaphors for the mysterious thinking process of the brain. 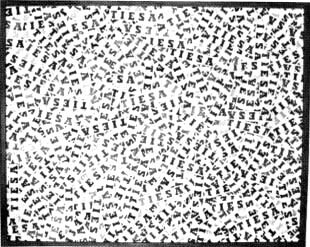 'Tiesos Ieškojimas" (Search for Truth), 1976, collage. "The PRO-CON Theory of Thought Development," pen and acrylic paint on paper, 1987. 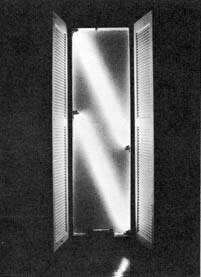 "Doorway (With Doors Open) 7" * 31" * 81", 1977, mixed media sculpture (wood, fluorescent lights). 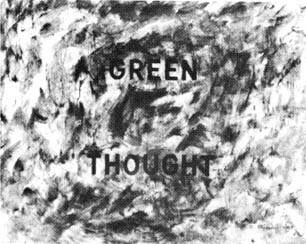 "Green Thought" , pen and acrylic paint on paper, 1987.
on a bank of the Mississippi River, within the city limits of Minneapolis. "Terra Cognita," pen acrylic paint and pencil on paper, 1982.
painted canvas on masonite and two broken mirrors, weight 3 Ibs.